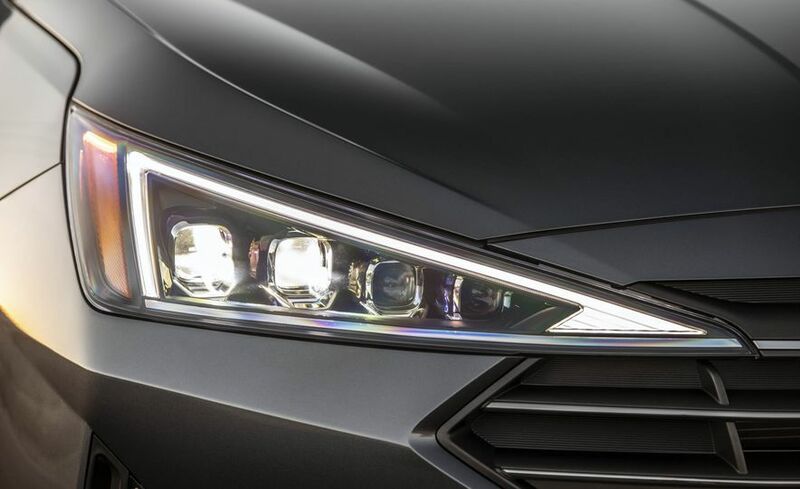 It is not often auto manufacturers unveil a new car when fans or media least expected. but it was the case with the new Hyundai Elantra. And boy did they pull out something exquisite! 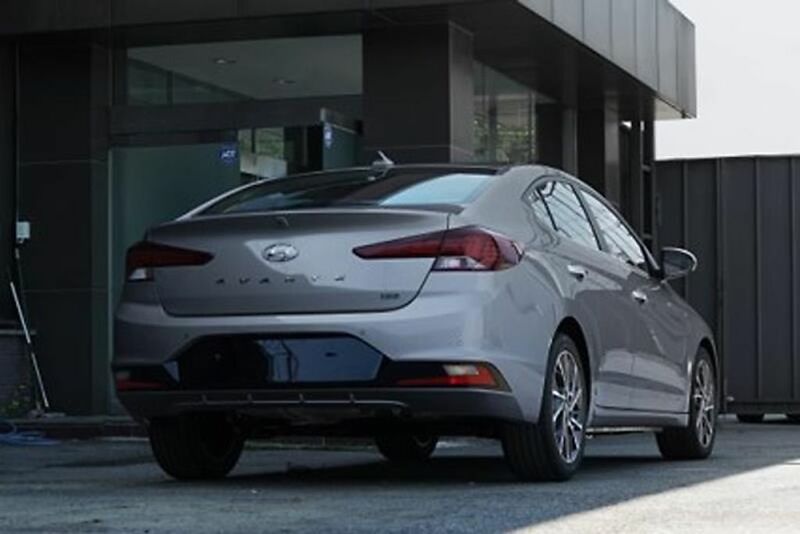 The new sedan is grafted with an aggressive design that is rarely the scenario for a MY update even for a global Hyundai. 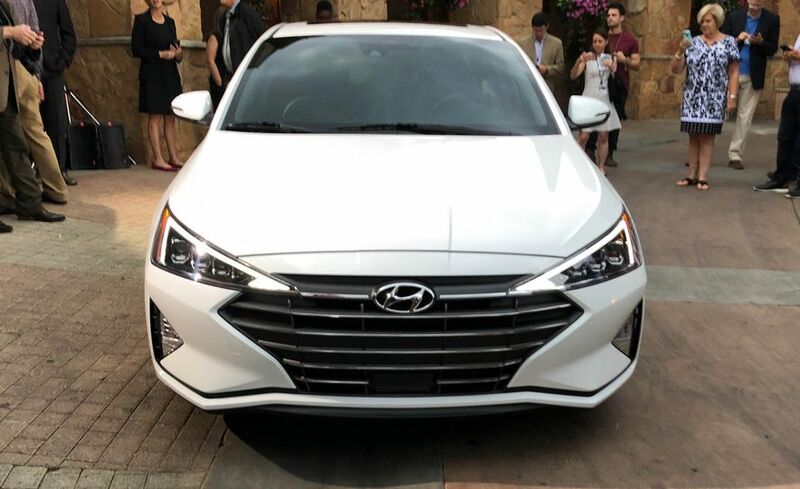 It is no Genesis and then again it does not have to be with a Hyundai badge. 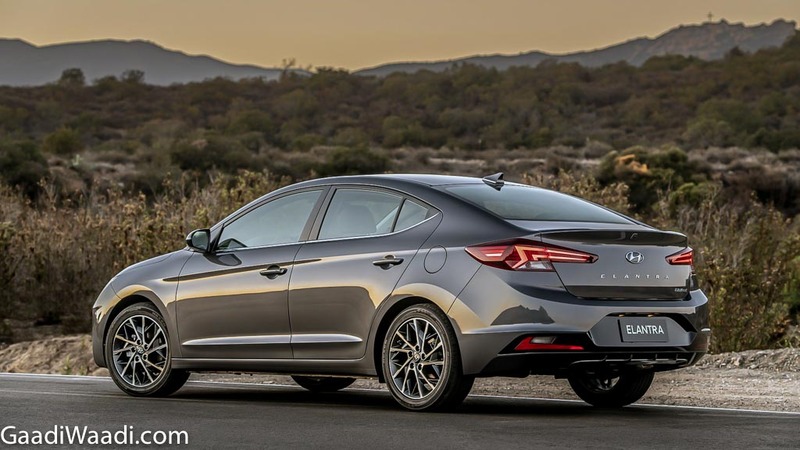 However, the Korean brand has tried to inundate plushness into the Elantra and the upshot of it has been nothing but convincing. 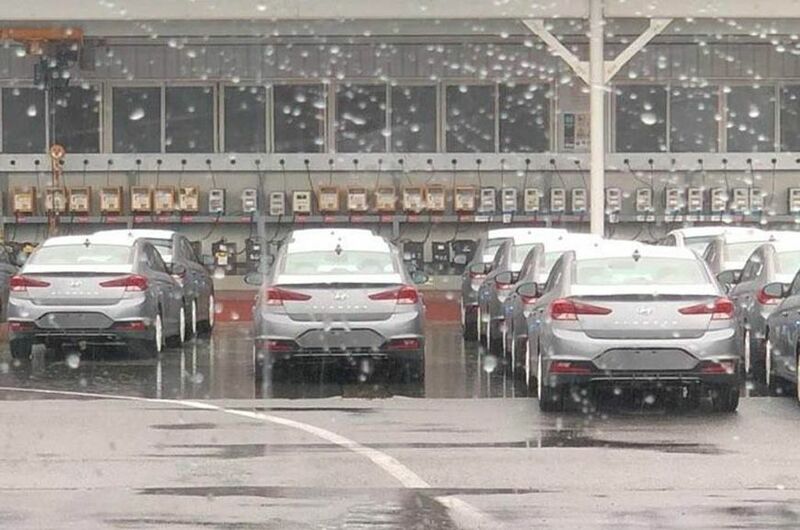 It will instigate strong response when it goes on sale in India, prompting us to think that a new benchmark is being laid out. 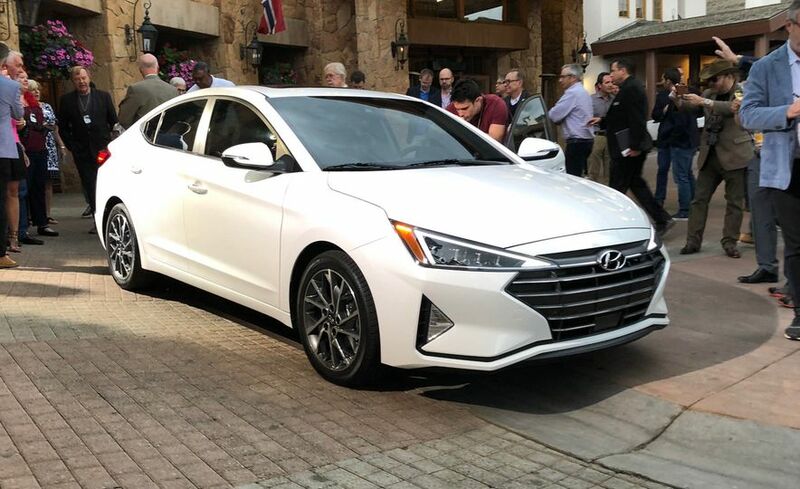 It will reach showrooms in the United States the coming fall with quite a comprehensive exterior update and we can expect it to arrive on Indian shores late next year. 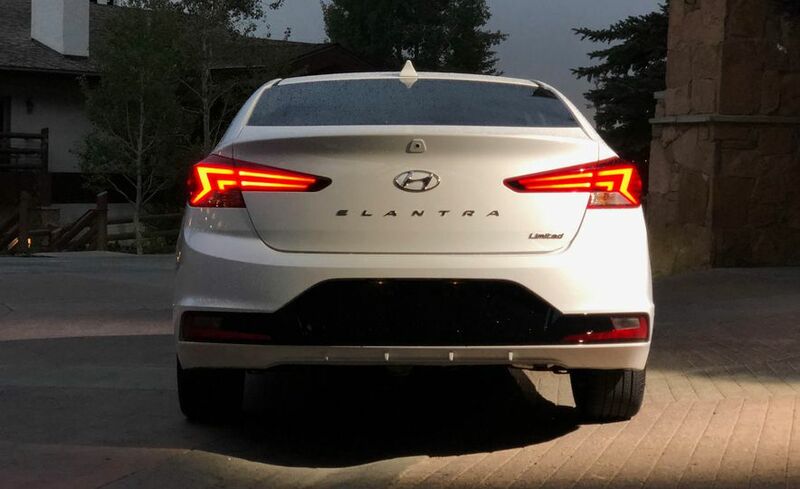 Currently sold in nine variants, the Elantra is priced between Rs. 13.65 lakh and Rs. 19.79 lakh (ex-showroom) with 2.0-litre petrol and 1.6-litre diesel engines. 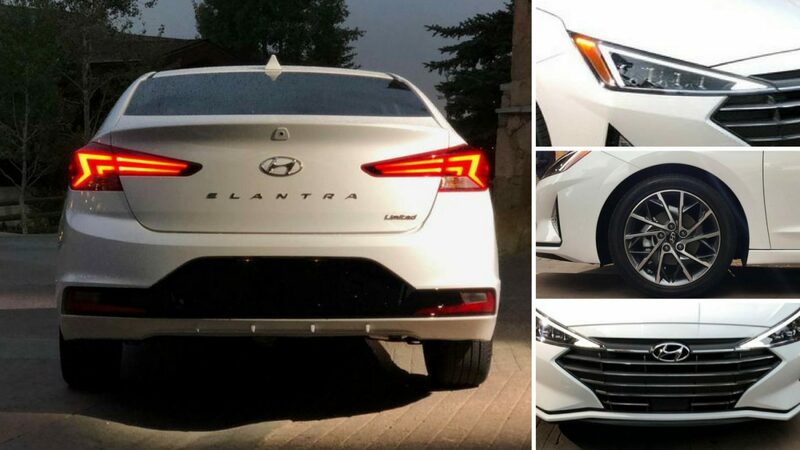 The highlighting elements in the facelifted Elantra being a brand new front end with triangular headlamps, reworked front grille, newly designed bonnet structure, restyled front fenders, bold bumpers at front and rear, updated boot with integrated spoiler, aggressive wheel design, edgy LED tail lamp graphics, etc. 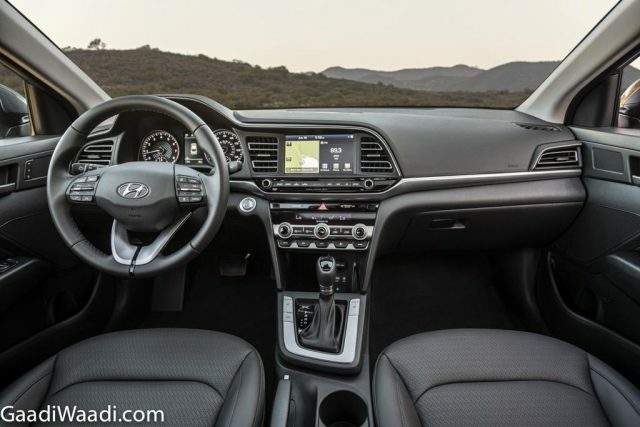 Hyundai has not snubbed the interior as typically the case with any facelifted model. Instead, the cabin has gained a slew of updates including a new switchgear, upgraded instrument cluster, new 5.0-inch AVN infotainment system with a larger 8.0-inch display screen and more responsive processor. It also gets the cool overhead cam view for navigation. 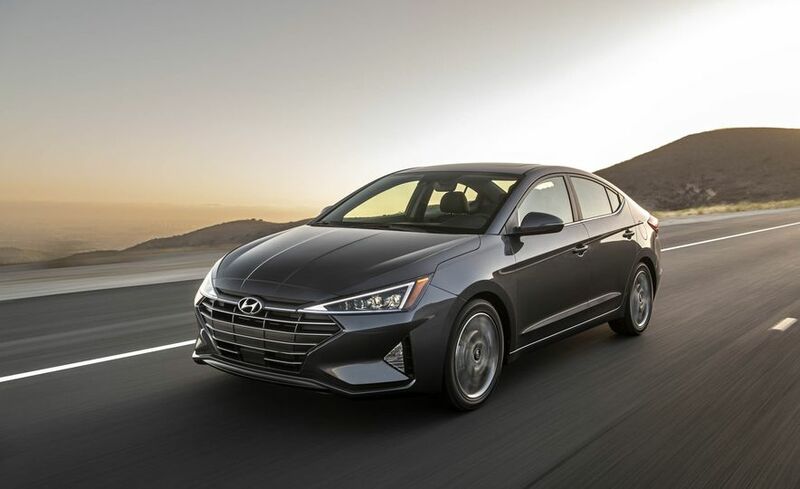 Additionally, the 2019 Hyundai Elantra features a raft of new driver assistance and safety equipment including SmartSense systems with Lane Keep Assist, Driver Attention Alert, Forward Collision Avoidance Assist, Pedestrian Detection, Lane Change Assist, Blind Spot Collision Warning with Rear Cross Traffic Alert and so on. 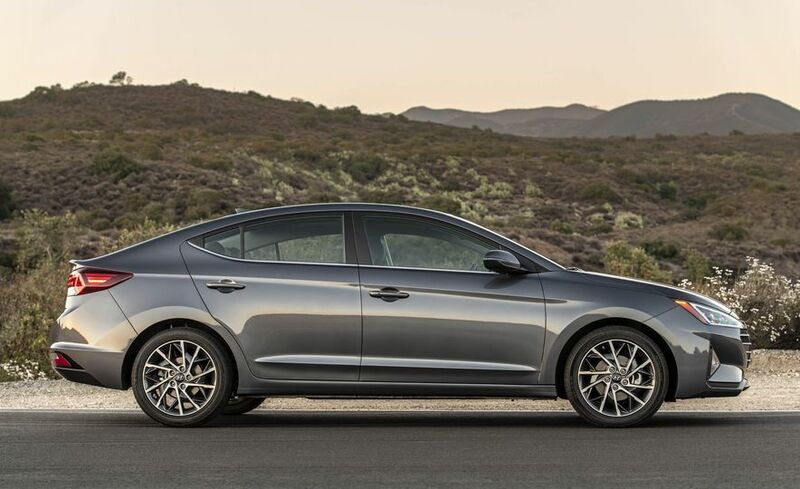 In the international marketplaces, the new Elantra can be had in a choice of three engine options. The 2.0-litre Atkinson cycle develops 147 hp and is available in SE, SEL and Limited trims. 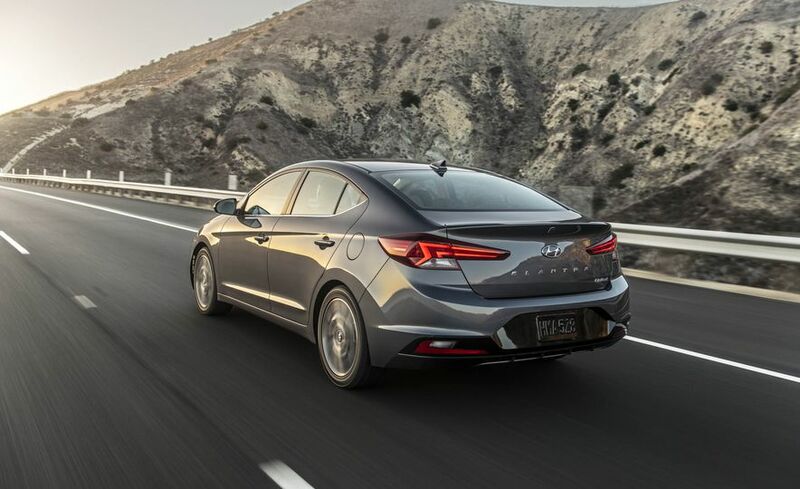 The 1.4-litre turbocharged motor makes 128 hp and is mated to a seven-speed dual-cutch automatic transmission with EPA estimated combined mileage of 35 mpg. 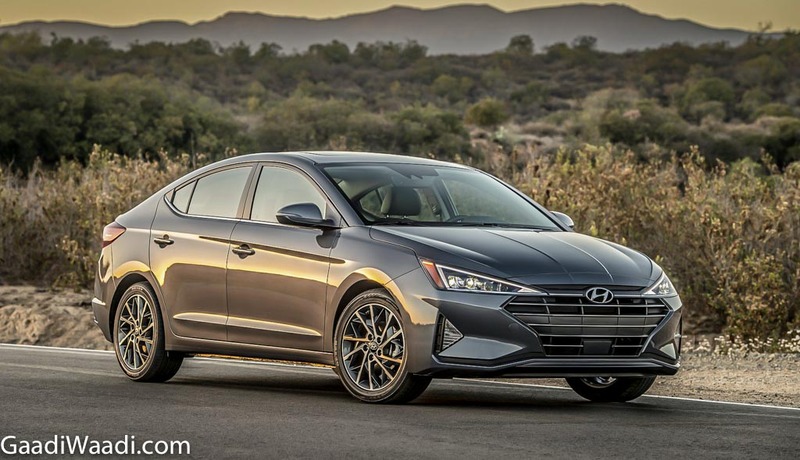 The 1.6-litre turbo four-pot unit gets optional seven-speed dual-clutch auto with six-speed manual as standard and is restricted only to the Elantra Sport debuting later this year with heavily updated styling.